No one wants to deal with a lawsuit, but construction is a dynamic industry where accidents happen frequently. Personnel get hurt, but materials can be in short supply. Permits are another area where delays can present a problem. The number one way to defend yourself is through best practices of project management, but even the best laid plans can be put to the test under crunch time. If you find yourself in a legal dispute, or you’re trying to prepare yourself for the inevitable, these tactics will prove useful in saving money and time. One of the fastest ways to get into a bind is through failure to clearly define the scope of the work to be done. Contractors should avoid ambiguous language, and replace those poorly constructed contract points with specific and measurable goals. This protects both parties. For one, the project owner knows what is to be done and when to expect those revisions. Contractors are also protected from having to work a job they were never hired to do in the first place. Be very careful when wording contracts. Documentation is another important aspect of defending yourself, so start establishing a system now before you need to dig up the paperwork. Materials come with invoices, crews fill out time sheets and contracts leave paper trails. As long as you performed the work outlined in those contracts, and that work met the measurable goals, it will be difficult to prove you or your crew was negligent. Paperwork saves businesses from legal trouble, so don’t lose yours! 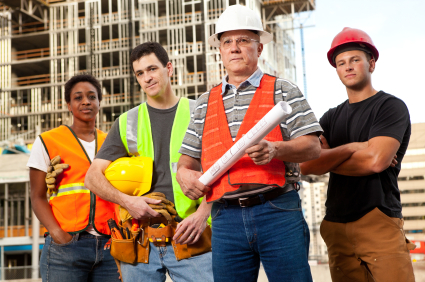 Construction mediation does an excellent job at reducing the frustration associated with legal troubles. If a claim can’t cover the dispute, suggest resolution by mediation. Mediation involves a neutral party whose job is to hear all sides of the argument. These mediators often have background in construction, and understand the intricacies of construction contracts. Their role is to help both parties device a solution that is mutually agreeable. Mediation typically lasts just a few days, and leaves both parties feeling good about the outcome. Mediation isn’t going to work in every situation, although it’s meant to work in most dilemmas. On the outside chance that mediation doesn’t work for you, you don’t want to be stuck without legal counsel. An attorney can help review your case, your documentation and prep you for mediation too. If you find your dispute headed to trial, a construction expert witness can help clarify facts and illustrate the scenario. Legal cases require expertise and skill. Trial isn’t something you want to do alone, even if you feel the facts are on your side. Bio: Lyle Charles is a consultant for the construction industry. Contact Lyle Charles Consulting for assistance with steel fabrication, project management, budgeting or legal concerns.